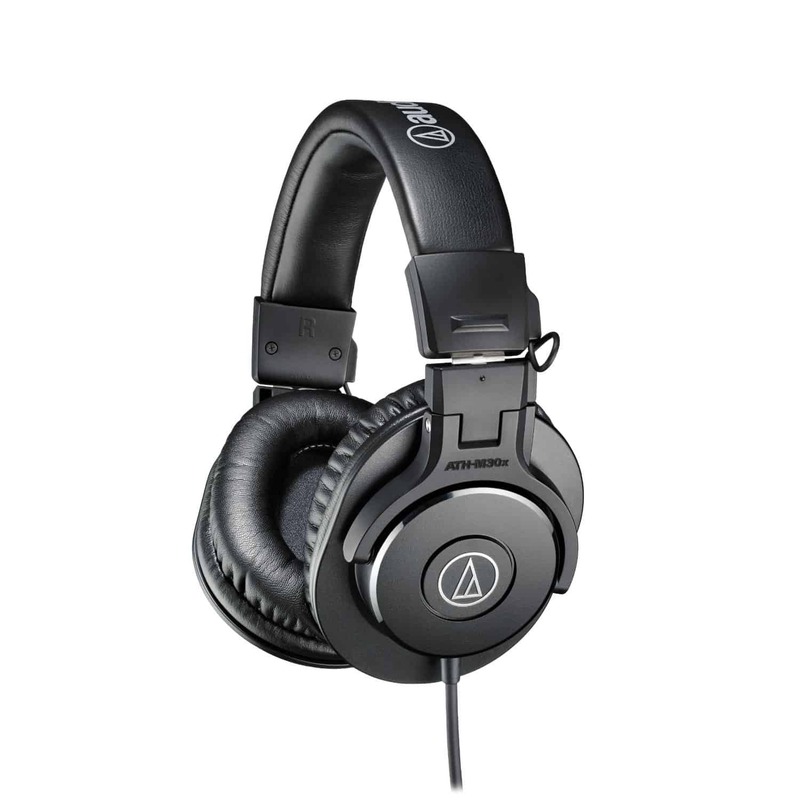 There are innumerable different types of headphones on the market, which makes the purchase extraordinarily difficult. Although sound quality and comfort are major factors, it is also crucial to find something cheap and affordable. Of course, it can be a little difficult to discover a pair of good headphones for under £50. With this in mind, we’ve taken the time to explore and review some of the best headphones that are actually affordable! Be sure to use our information below to help you choose the pair that suit your needs to perfection. Those of you with a little more budget, check out our Best Headphones under £100 here. Many music lovers prefer the aesthetics of their headphones to other qualities, so they choose the Symphonized brand. 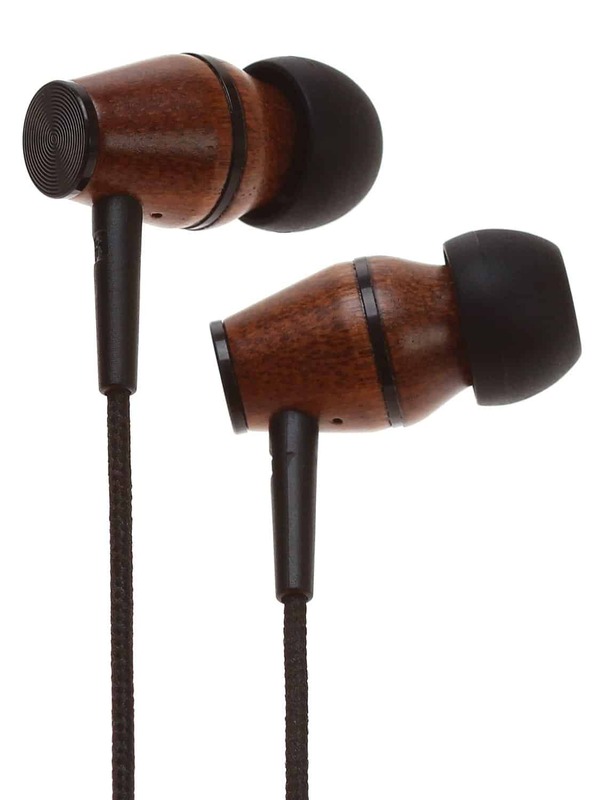 The earphone is constructed out of all-natural bamboo wood, which will offer a better balance in sound. The diversity uses are like no other brand, since they offer suitable capabilities with MP3 and CD players, iPods, iPhones, and personal computers. The in-ear headphones are so lightweight, since they only weigh in at 1.6 ounces. You will definitely not feel restricted, while wearing these extraordinary headphones. The free tote bag will also help you keep up with your headphones, so that you will never have to risk losing them. The cord is also designed to prevent tangles, which could potentially cause much chaos, if this were to occur. The unique design and quality makes these headphones very affordable and well worth the price tag. 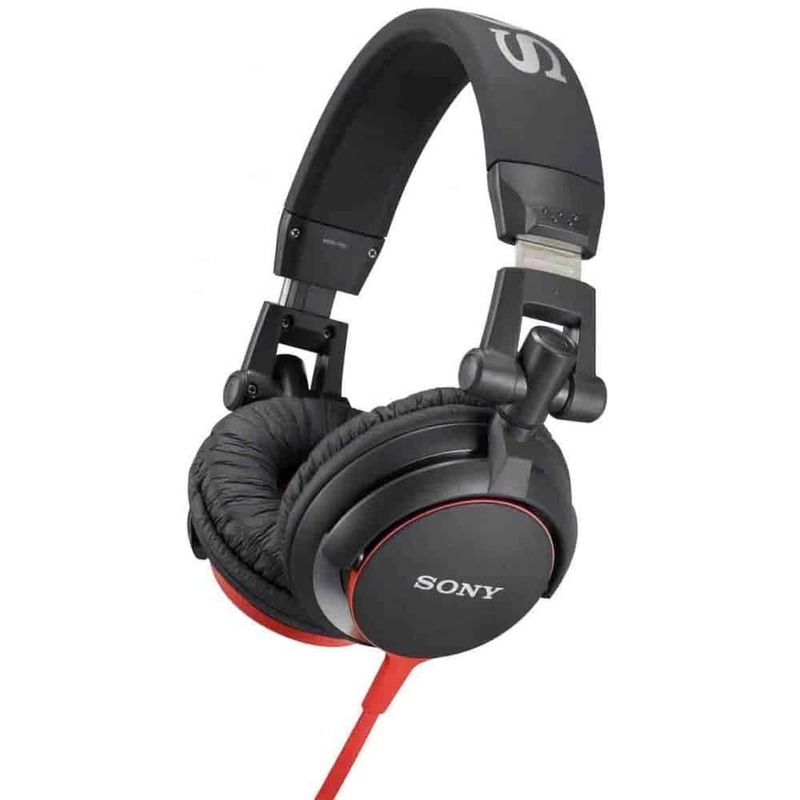 ​Sony has never seized to impress the electronic user, with their high-quality designed products. The MDRXB50AP is no exception to their superior reputation, because a lot of technology was put into the craftsmanship of these ear buds. The microphone is equipped with an elecret condenser and omni directional design that will provide the perfect output. If you are willing to upload the Smart Key application onto your iPhone or iPod, you will easily be able to control your ear buds totally, without having to touch the control button, which is equipped to the cord. There are also extra silicone ear bud tips that are included in the deal. The microphone sets back about 6-8 inches from the ear bud, which is perfect for speaking. They ear bud design will cancel out external noises, so that you can listen to your favorite tunes, without interference of others. If you desire a strong, clear bass, you will definitely receive it with the Sony MDRXB 50AP. They are also available in innumerable colors red, blue, and black, so they will fit perfect with your attire or your tastes. 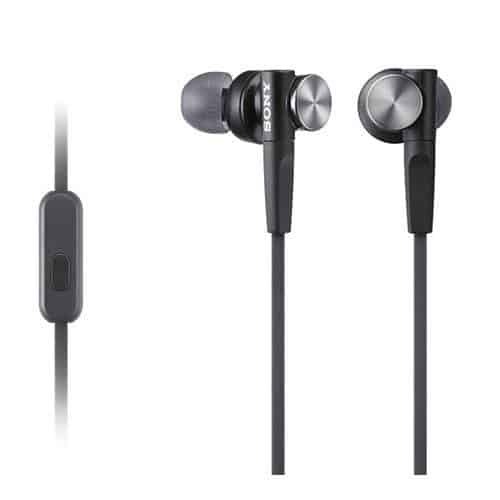 Q: How do these Sony headphones feel in the ear, do they have a great fit to the ear? A: This model feels and sounds amazing and they fit the ear perfectly design with comfort. 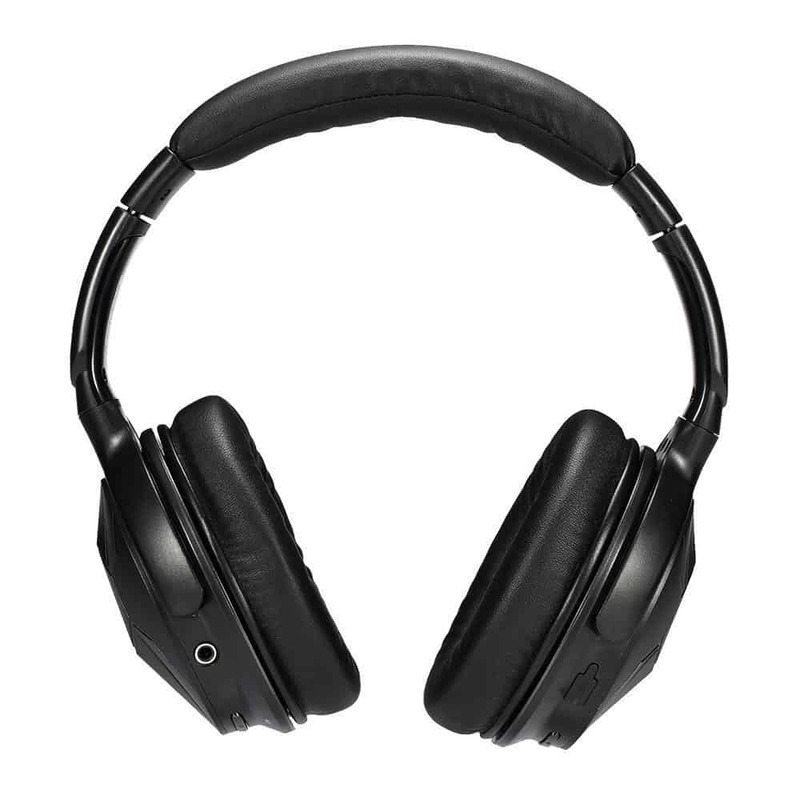 Those, who are looking for some suitable over the ear headphones, will want to explore the Panasonic RP-HTF600-S, which are capable of providing the user with extreme comfort and totally awesome sound quality. Whether you plan on using the headphones for twenty minutes or three hours, you will be able to do so with comfort thanks to the foam ear pads. The quick fitting mechanism will ensure that you’re able to fit the headphones on your head to perfection. Of course, there are many other benefits available from these headphones. These features can be found below. 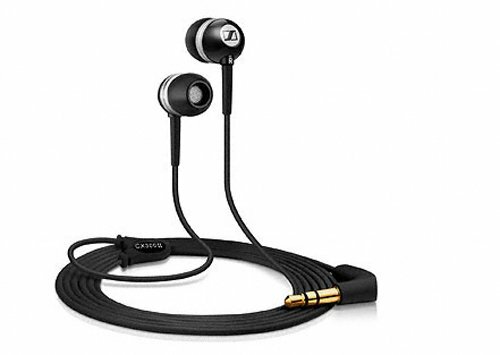 Overall, these headphones are capable of delivering excellent sound, despite the low cost. The ear pads can completely cover the ears, which will help to eliminate background noise. With the neodymium magnets, you can rest assured that these headphones are capable of delivering immaculate sound quality. The headphones are compatible with a variety of different devices, which makes the overall value even better! 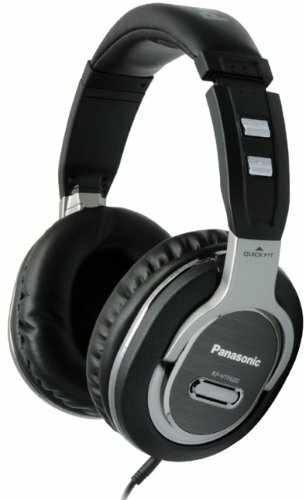 Q: Can these Panasonic headphones be use these with 3.5 mm jack? A: Yes just simply pull off the 5mm jack adapter attached to 3.5mm jack at end of cable. Q: How long is the Panasonic headphones cord? A: The cord is 3 metres long and they are excellent cans. 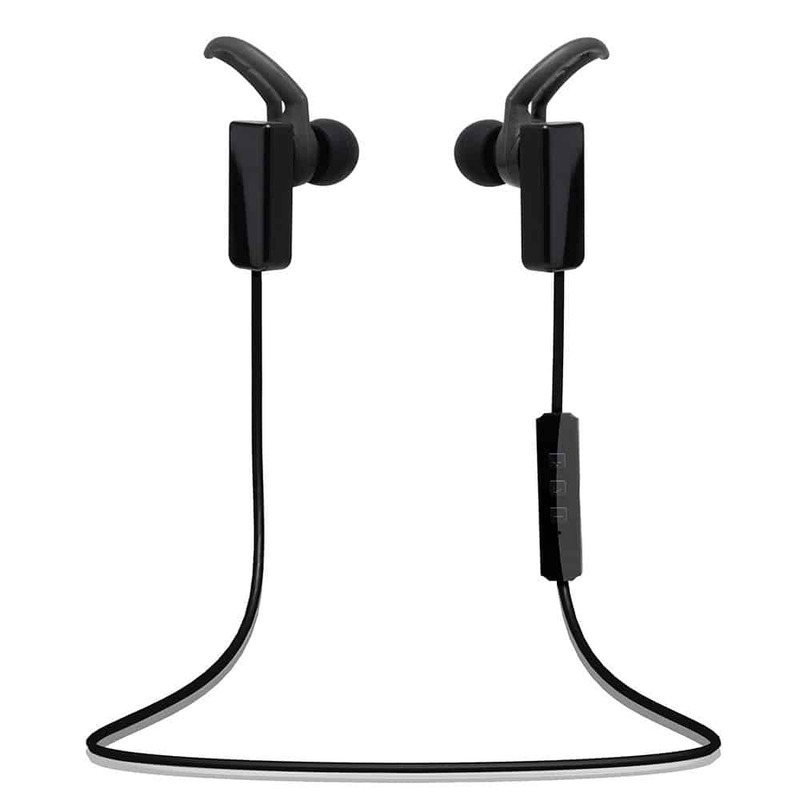 ​Despite what many people believe, it is more than possible to purchase an efficient pair of Bluetooth headphones for under £50. Suffice to say, the Audsom M04 Bluetooth headphones are a suitable option for those, who are looking for wireless connectivity. Although they’re capable of being used with wires, you can easily disconnect the wire and experience wireless streaming for all of your music. With immaculate over-the-ear design, you will be able to experience unaltered and high quality sound. These are plenty of likable characteristics, with these headphones, which will be explored more in-depth below. Whether you’re trying to enjoy your favorite music, or wish to be able to chat on your phone wirelessly, you’ll be able to do so, with these headphones. Although the headphones are completely wirelessly, they can also be used with a 4-foot cable, which is equipped with a 3.5mm audio output. Either way, you’ll be able to connect the headset to your device fairly easily. DJs require specific characteristics, when trying to choose a pair of effective headphones. They need to make sure that their headphones are capable of working effectively, within the studio. In most cases, it would be extremely difficult to be able to purchase a high quality pair of DJ headphones for under £50. However, the Sony MDR-V55 is capable of delivering quality that will live up to their expectations. Make sure to select between the two different types of color schemes including the black and red model or the white version. Below, you will be able to find the awesome features of these headphones. At the end of the day, a DJ requires an excellent pair of headphones, which is exactly what they’ll receive with these headphones. Anyone, who is worried about the style of their headphones, can rest assured, since there are two cool options to choose from. The sound quality is more than suitable, but the cord length will turn off some individuals. Still, these headphones are the best for DJs at under £50. 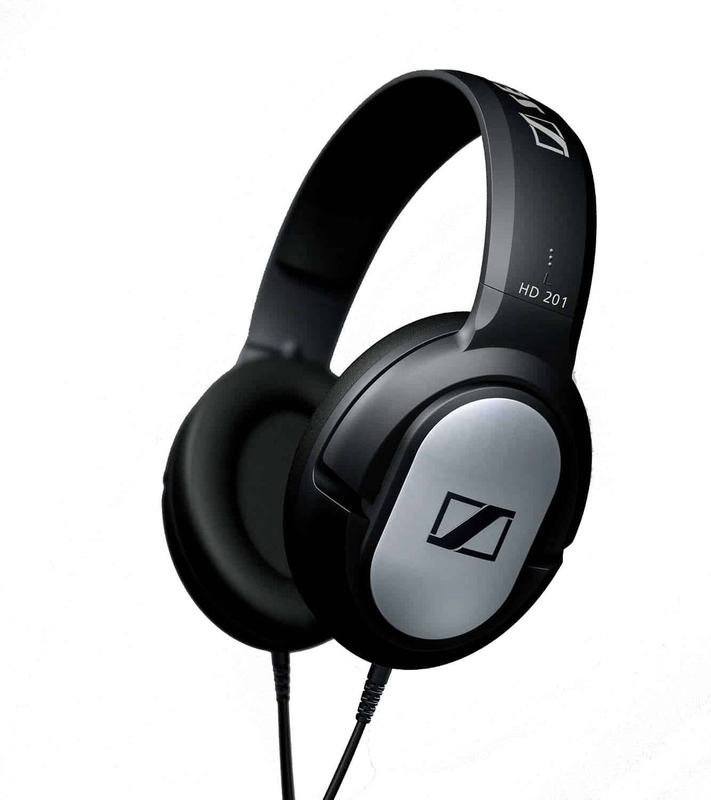 There are many excellent headphones on the market, but few can match the performance of the Sennheiser HD201. These headphones are incredibly well rounded and great in various areas. The most notable feature is the immense affordability. 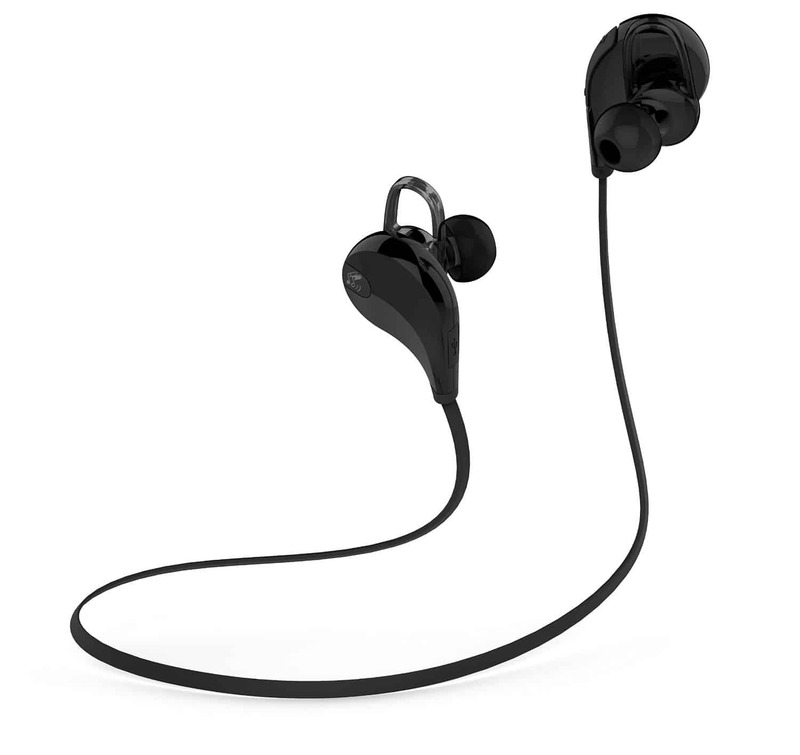 Despite the low cost, the headphones are built to last and designed to deliver a satisfying performance. The powerful sound is bass driven and perfect for music lovers. The headphones weigh just 454g, so they’ll never weigh down your head. In fact, the headphones are incredibly comfortable and can be worn for many hours, at a time. These headphones are corded and utilize a gold plated ¼ inch stereo jack adapter. The close-fitting headphones help to reduce ambient noise, while delivering high-quality audio that you can enjoy immensely. One of the most impressive aspects of all is the headphone’s 2-year warranty! This will deliver more reassurance to the consumer. When exploring the Sennheiser HD201 Closed Dynamic Stereo Headphones, as a whole, it is truly hard to find a real con. Sure, the headphones aren’t wireless, but few are at this price. Instead, they’re comfortable, reliable and the 3.5mm plug can be used with almost all musical devices. Be sure to check out these headphones today. You will not be disappointed. 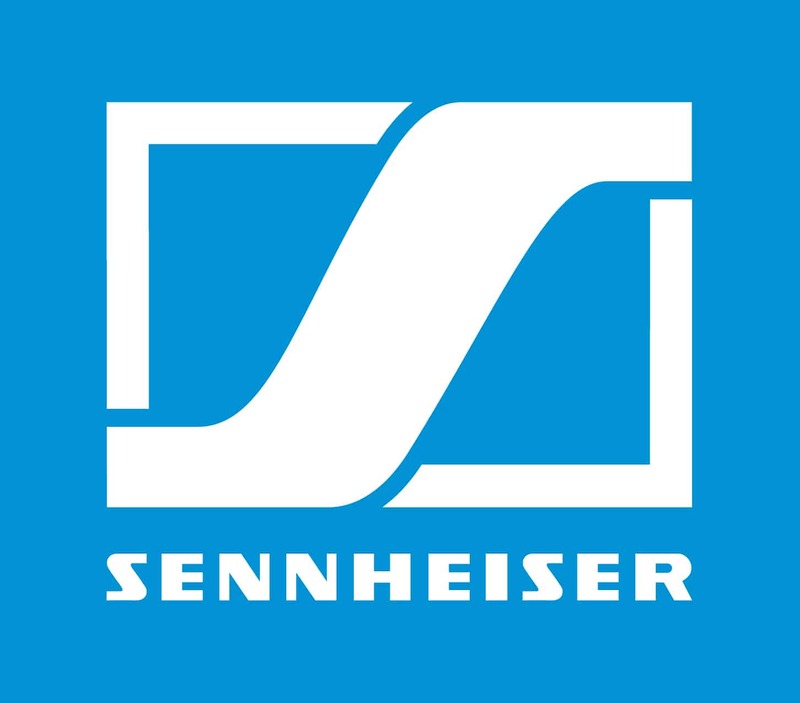 Q: Are these Sennheiser headphones adjustable? A: Yes, infact you can adjust each ear cup individually, on its smallest setting, these phones will fit a 6/7 year olds head perfectly and will fully adjust to fit even those adults with an extremely large head! Although each of the options is suitable for most individuals, it is imperative to choose the headphones that suits your particular usage and desires. Either way, you can rest assured that these headphones are more than affordable at under £50 and capable of delivering astounding quality! If you are looking for something more practical then check out our guide to the best clip on earphones here.